A place to discuss Bank of America short sale programs and share information and help to get mortgage short sales approved. We are NOT Bank of America. If you are a confused agent, CLICK HEREto be put on the right track. 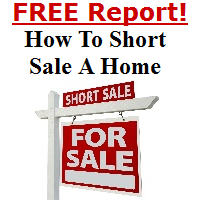 The report below is for consumers who are interested in "How To Do A Short Sale" or those who are interested in finding a Bank of America short sale agent. Below are all of the contact numbers needed to do a short sale with Bank of America. Visit www.short-sale-specialistsif you need to find an agent to help with your short sale. Find a local Short Sale Expert! BofA Escalations - any goo dsuggestions? You need to be a member of Bank of America Short Sales to add comments! Are there some types of loans such as freddie mac /fannie mae that for the most part won't take a short sale? Or can all loans be a short sale if need be? We finally had one yesterday where they gave us a counter offer form from the Equator system. It actually compared all of the amounts from the current offer in one column, and then their counter offer in the other. Here is the fun part! Today, after we send them back a buyer counter offer, we get a call from good old Titanium, Inc, saying that it is a Freddie Mac file and they have been assigned the file!!! We are seeing if we may be starting over from scratch on this one!! So in three months, we go from submitting to Bank of America, wasted time, submitting to the new REOTrans system, Now it getting reassigned the day after they finally start negotiating!!! Sounds like the good old bank of america system we know and hate!! BOA has traditionally been trouble but hopefully the new equator system will expedite things. I've had a file submitted to their system for about 3 weeks, we've agreed to terms and I am pending an approval letter shortly!!! Well, the latest and greatest with boa is that they take an eternity to facilitate their short sale. The rumor going around is that equator.com can expedite a boa short sale...has anyone had any success with this...i have 8 with boa and the average is 8-10 months. Does anyone know what held means on equator ?